Last night I was strolling through the mall while waiting for the engraver to finish up with a butch bud birthday gift, and there were some Alfani knit ties on clearance at Macy’s. I kind of had some immediate flashback to my eighth grade English teacher’s wardrobe, but that aside, decided that I could rock this look. I bought the tie, and thought about what I could pair with it as I finished my shopping. 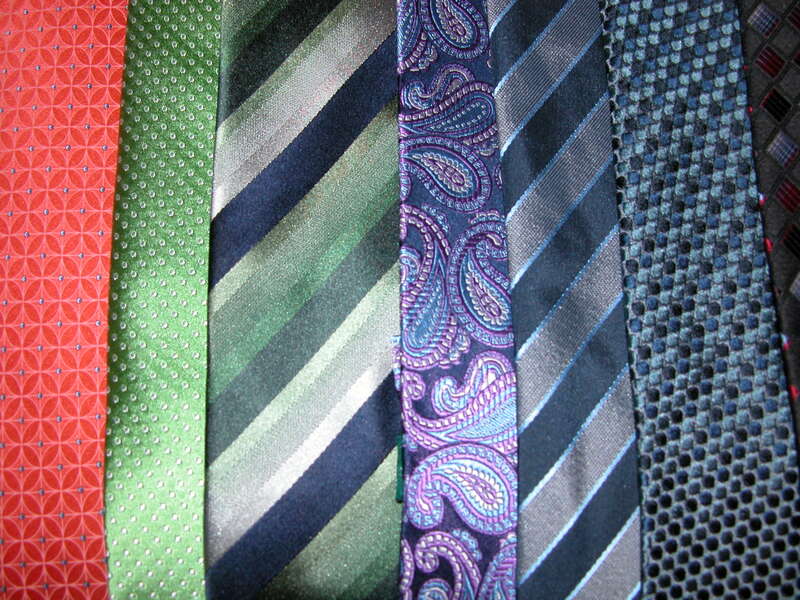 I thought that this kind of tie could dress up casual, and dress down dressy – and I was right. I’ve paired it with a white cotton button down shirt and khaki’s – but I know that when I get home tonight and shuck the khaki’s in exchange for jeans that I’m going to look pretty well put together when I head out for some fun times tonight. So, even though a co-worker asked if I decided to go to work at the airport, I’m still rocking this look, and liking it a lot. 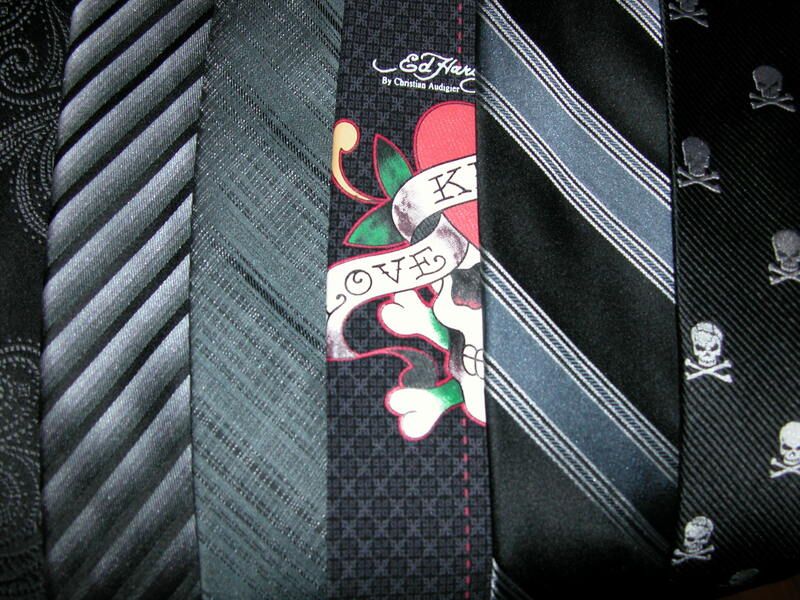 I may even go back for some more ties! 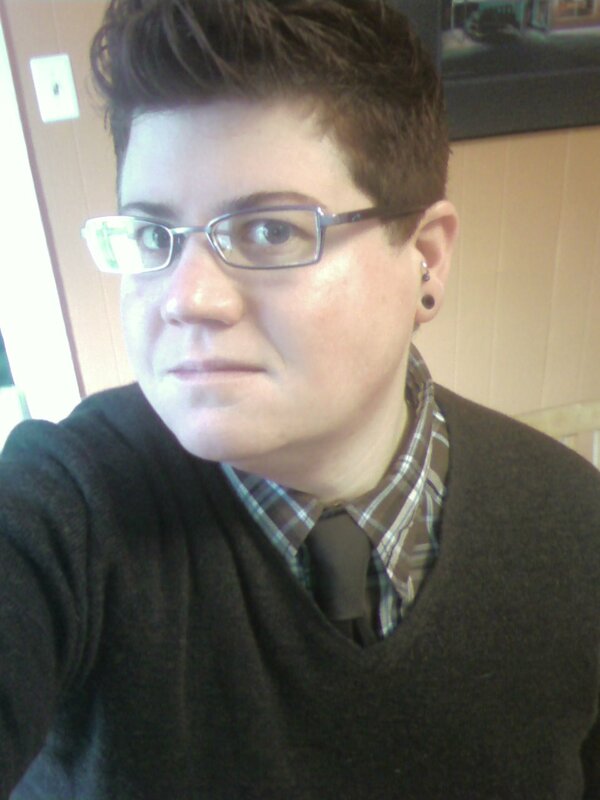 For futher casualness, I went with an open collar and a 4-over hand knot – and may MAY even go untucked later. Livin’ like a rebel today. 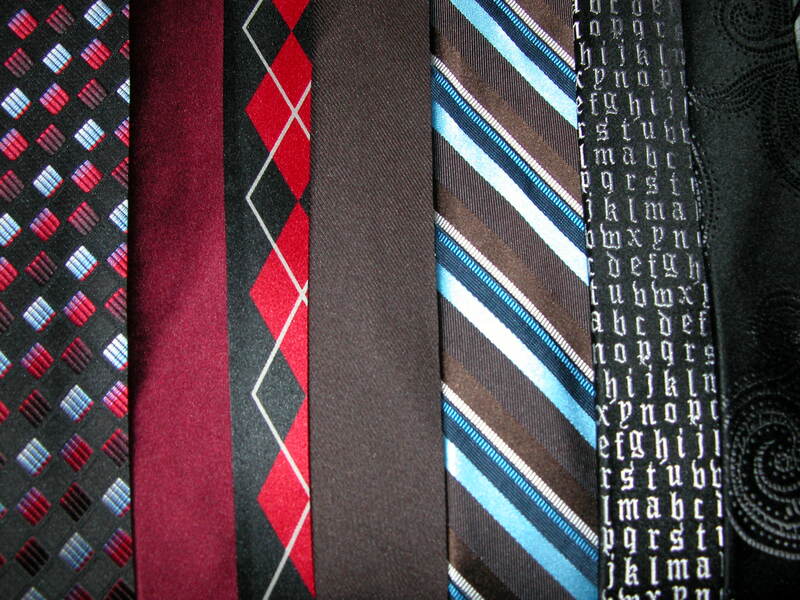 Do you rock knit ties? Ok, so the quilt is almost done and so I’m less stressed about that however the Sartorallove is MOVING IN in like, less than 2 weeks. This means my new stress is turning bachelor pad into family home. It shouldn’t be too hard to merge households but closets must be emptied (I guess baseball/sports jerseys don’t really need their own space and I don’t even wear them all that much) and space made in cupboards, and um, yeah, the bathroom is preparing for takeover. 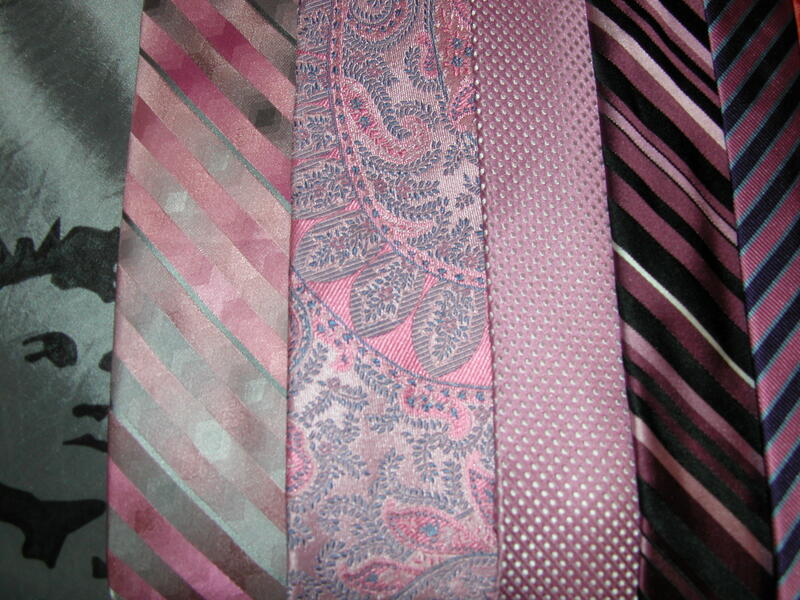 I DID want to get something up here and being as I was organizing my closets anyway, as they were asked for, here’s the tie collection in its entirety. I tried to go in some sort of light/dark color order and started with the bows – but it’s not perfect, but I figured you’d forgive me Enjoy! Ok, so it seems as if you all like the whole video thing, so I’m really getting over my own self-consciousness and have produced another fine film specimen, the full windsor knot. I know some critics think this is a kind of….stuffy knot, but I really really like it – what can I say, symmetry does something for me. Enjoy! 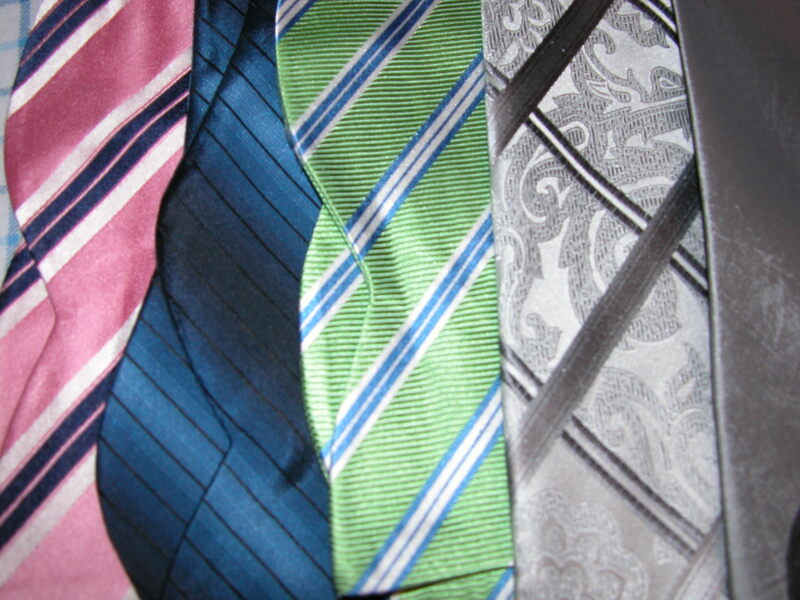 Ok. Disclaimer – I have never tied a tie without looking in a mirror before. Also? If you’re left handed uhhh. Just reverse it all, kay? Also? I talk fast. I’ll work on that for next time. This afternoon a favorite femme friend and I went on a small shopping excursion. It was fairly dangerous, as shopping with her was just like shopping by myself except now it wasn’t just me convincing myself that I SO needed all the hot stuff I encountered. And of course, her impeccable sense of style was tremendously appreciated. I ended up buying (amongst other stuff) two really beautiful ties, and one of them is a bow tie. 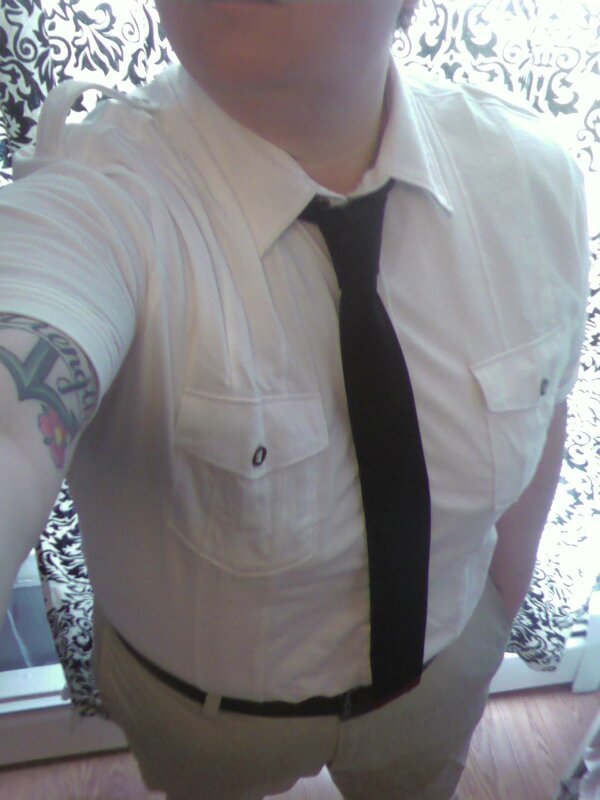 Yep, that’s right, I think I’m going to make a handsome bow tied butch and I’m not ashamed to say it! At first I wasn’t sure I could pull it off, but two femme friends and my girlfriend have since eased my fears – this is a look that I’m going to rock, and I encourage you to give it a shot! And yes, a good portion of my afternoon was spent learning how to tie it. I’m feeling pretty proud of myself. Thoughts? 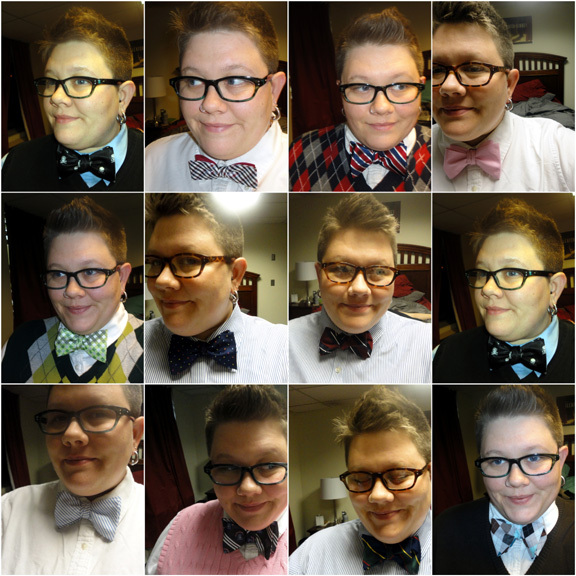 Have you rocked a bow tie before?